Traveling is expensive enough. Save money with a credit card that has no foreign transaction fee. Whether you're sampling local cuisine or shopping online abroad, these are the best cards that give you one less thing to worry about. And for even more travel perks, check out our list of travel cards from our partners. Haven’t found the right card yet? You just got back from a pricey international trip and while reviewing your credit card statement, you noticed the expected airfare, lodging and food charges, but also “foreign transaction fee” charges. What's that all about? Many credit cards charge a foreign transaction fee, but there are some that don't. 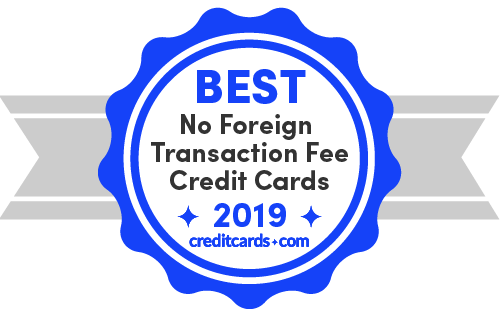 In fact, the number of cards with a foreign transaction fee hit 52 out of 100 in 2018, down from 77 three years ago, according to the CreditCards.com card fee survey. If you are a frequent traveler or shop online with overseas vendors, it might be worth your while to find a card without a foreign transaction fee. To get to our top picks, we evaluated over 50 credit cards without a foreign transaction fee using the following criteria: other rates and fees, general rewards rates, sign-up bonuses, point values, redemption options, customer service and other miscellaneous travel benefits. Here are our results, along with helpful tips to help you make a decision on the right card. How much is the typical foreign transaction fee? 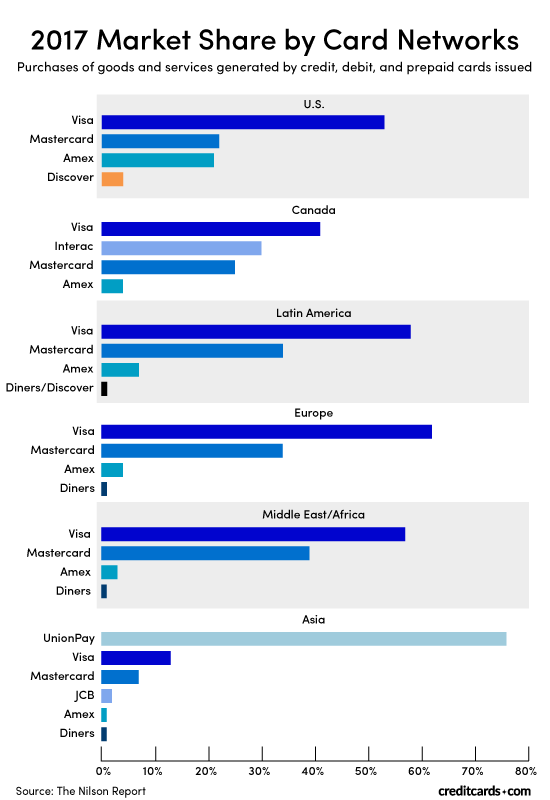 Which credit cards are the most internationally accepted? With its hotels.com offer, this card pulls ahead of the pack, even with its lukewarm 1.25X miles on all purchases. There's a 20,000-mile sign-up bonus after $1,000 in the first 3 months of card membership, as well. Miles don't expire for the life of the account and there's no limit to how much you can earn. You also get Visa Signature benefits, such as extended warranty and complimentary concierge service. This card from Capital One is competing head-on with flat-rate rewards cards; it gets 1.5% back on all purchases and has a sign-up bonus of $150 for spending $500 in the first 3 months. What makes the Quicksilver pull ahead is that it has no foreign transaction fee, while many other rewards cards charge a 3% foreign transaction fee. Not only does this card come with no foreign transaction fee, its 3X points per dollar spent on travel and dining is a surefire way to rack up rewards on your business trip or vacation. If you know you'll be making a major international trip soon, you'll want to take advantage of its 30,000 point sign-up bonus for spending $3,000 in the first 3 months. By selecting this card over competing options, you could also save a great deal long-term as the Propel offers all of these benefits with no annual fee. The Bank of America Travel Rewards' 1.5X points on all purchases has the VentureOne Rewards beat, although the sign-up bonus of 25,000 points after a $1,000 spend within the first 90 days is comparable. There's no expiration on points and you can earn up to 75% bonus as a Preferred Rewards customer. If you like the idea of redemptions on a multitude of travel purchases, no loyalty necessary, this is a good option. This card features a non-traditional welcome offer where the first $10,000 worth of purchases made within the first year earns a 3% cash back rate. Along with this sign-up bonus, what makes this card stand out from the others is the 10% anniversary bonus on all cash rewards each year. This cash rewards card separates itself with the no foreign transaction fee feature, which some cash back cards don't offer, as well as numerous travel and shopping benefits, including travel accident insurance and price protection refunds. With its other features so prominent, you could almost miss the fact that the SavorOne comes with no foreign transaction fee. Indeed, the SavorOne is a great choice for travel abroad; its 3% cash back on dining and entertainment can really shine if you take it with you on vacation. It's also great as a daily driver in addition to international trips. While there are some better cards for shopping, 2% back at grocery stores is nothing to scoff at. Its cash sign-up bonus of $150 for spending $500 in the first 3 months is also solid. The Sapphire Preferred's 2X points on worldwide travel and restaurants not only includes hotels and airfare, but also taxis and trains. There's also the 60,000 points after a $4,000 spend in the first 3 months of card membership. Because of the Sapphire Preferred's unique position as a Chase Ultimate Rewards card, you can earn a 25% bonus when redeeming points for travel on the Ultimate Rewards portal. You can also transfer rewards points from the Chase Freedom card and still enjoy that boost. A little-known benefit of the Sapphire Preferred – you can get primary rental car waiver damage, which means this insurance is used even before your personal auto insurance. With Discover's famous cashback match, this card's rewards are tough to beat. You can earn up to $300 for the year if you use the 5% rotating categories to the maximum of $1,500 a quarter (activation required), then another $300 back the end of your first year. Keep in mind that Discover cards are accepted at fewer international locations than a credit card in the Visa or Mastercard network. If you have upcoming trips to a specific destination in mind, it's a good idea to do some research on how commonly accepted Discover is in that region. The Venture Rewards' greatest asset is now the 10X miles on hotels booked and paid through hotels.com/Venture. Also new to the card is a credit up to $100 for Global Entry or Pre-Check and 14 airline partners. This card has a sign-up bonus of 50,000 miles after a $3,000 spend in the first 3 months of card membership, as well as 2X miles on all purchases. But it's this card's hotel rewards feature that puts it in its very own class. This card's sign-up bonus offer of 70,000 miles after a $5,000 spend within the first 90 days is enough reason to love it. Add to that the 2X miles on all purchases, and you have the freedom to make it your everything card. The Barclaycard Arrival Plus also has the advantage of serving as a Chip and PIN card, rather than just a Chip and Signature card. That means you can zip through train ticket kiosks in Europe, something many American-issued cards don't offer because a signature is needed, which means you need a live person to conduct the transaction. Foreign transaction fees are charges – usually around 3 percent of the total amount – that many credit card issuers and payment networks place on purchases made in a foreign currency or on purchases that involve a foreign bank. Usually, foreign transaction fees have no minimum or maximum. The card-issuing bank may choose to pass that fee along to consumers; most do, and some tack on their own fees. Why? “Because banks have to convert your money spent into U.S. dollars so they can charge your account,” said Victoria L. Fillet, a financial adviser with Blueprint Financial Planning in Hoboken, New Jersey. That conversion costs money, and some card-issuing banks pass that cost along to consumers in the form of foreign transaction fees. According to Nessa Feddis, vice president and senior counsel for the American Bankers Association, foreign transaction fees also help banks offset the greater fraud risks associated with international transactions. "There are risks and costs associated with any money conversion,” she said. Banks can add foreign transaction fees onto any credit card charge that's processed outside of the United States. You can find these charges on your credit card statement even when you make overseas purchases in U.S. dollars – if you so much as place an online order from a foreign company, including something as innocuous as booking an airline ticket from a carrier that doesn't have a U.S.-based website, you could find yourself with an additional 3 percent fee rolled into the total cost of your transaction. The bottom line is that, like baggage and passports, foreign transaction fees have been a standard part of international travel for years. Fortunately, the average consumer has gotten more and more savvy to these hidden costs, and credit card companies are dropping their fees in response. Today, many of the travel credit cards and airline credit cards come with no foreign transaction fees. Most foreign transaction fees vary between 2 percent and 3 percent of the purchase. Often, the fee has two parts: one charged by the payment network, such as Visa and Mastercard, and one charged by the card issuer, which can be anything from a bank like Chase, or a brand like Hilton. Networks Visa and Mastercard typically charge a 1 percent fee for each foreign transaction. Issuers might tack on an additional 1 to 2 percent. American Express, which doesn't use Visa or Mastercard's payment system, often tacks on a foreign transaction fee of 2.7 percent onto its cards. Again, a foreign transaction can be a purchase processed through a foreign bank (such as when you buy something from a non-U.S. retailer website), or when you travel overseas, including when you use an ATM. Note that there can actually be multiple fees at a foreign ATM, including a flat-rate international ATM surcharge as well as an ATM access fee. Below are the standard foreign transaction fees for top issuers. Some issuers, like Capital One and Discover, elect not to charge a foreign transaction fee on any of their credit cards. Of course, even different cards from the same brand can vary in their fees. Many issuers have cards that are exceptions to their standard foreign transaction fee. While Visa is number one in most parts of the world, Mastercard is usually second, according to The Nilson Report's 2017 data, which has been reported throughout 2018. The big exceptions to the Visa/Mastercard dominance are Asia, where UnionPay makes up 76% of all card spending, and Canada, where Interac comes in second with 30% of the market there. The general rule is to have two types of cards in your wallet, just in case your favorite card isn't accepted. That means different issuers and different card networks. Generally, you will find that major hotels, restaurants and other locations that tourists frequent are accustomed to accepting credit cards. It gets tricky when you go off the beaten path. That's why it's a good idea to have cash on hand if you plan to "experience like the locals." Most U.S.-based cards are chip and signature (for now), while in other parts of the world, such as Europe, they use chip and PIN. Both are designed for increased safety. For the most part, chip and signature will work fine overseas, provided there is a cashier. But it's helpful to have a chip and PIN card. That's because chip and PIN cards have to be used to get automated service at ticket kiosks in Europe, for example. While not as common here, some card issuers in the U.S. offer these, for example Barclaycard. Know your card terms. If you can't readily find information about foreign transaction fees, pick up the phone and call the number on the back of your card. It should also be displayed with your “rates and fees” clause. Note that terms of cards from the same issuer can vary. If you travel often, it may make sense to apply for a credit card that does not charge foreign transaction fees. Research your overseas bank network. Check if your bank is part of a global ATM network that you can use to access cash overseas for free – or at least at a lower cost. Always pay in the local currency. Sometimes, foreign merchants will offer to convert your purchase to U.S. dollars before you pay with your card. Decline so that you avoid dynamic currency conversion costs that you'll have to shoulder. “So many places try to say ‘convenience,' but the rate is not favorable to the traveler,” says travel blogger Suzanne Wolko of PhilaTravelGirl.com. About those traveler's checks. “Don't bother; they are too much of a hassle,” says Wolko. Call your bank. Make sure they are aware that you may use your ATM card in the country you will be traveling to, says Wolko. Use only credit abroad. Some travel experts actually advise that you not use a debit card in a foreign country. That's because you are protected when there is an unauthorized charge on your credit card, and you might be protected if a product isn't delivered as promised. A debit card, with your PIN, can mean free money for the bad guys, if your bank doesn't have protections in place for you. Check with your financial institution. Try local apps. Wolko advises that you use apps tied to your credit card to avoid dealing with cash or credit cards, such as Uber, Lyft or MyTaxi. Does the card fit your lifestyle? OneSavvyDollar.com founder Ogechi Igbokwe says he knew that once he graduated from grad school, he planned to travel overseas, so a card with no foreign transaction fee made sense. Does it come with an annual fee? Says Igbokwe: “Golden rule when making a purchase: The cost of getting a thing must never outweigh the benefit.” So, make sure you will recoup on the annual fee or that the card has an advantage that makes the fee worthwhile. Is it widely accepted? “A no foreign transaction fee card is only good if it is accepted everywhere you go,” says Natasha Rachel Smith of TopCashback.com. For example, she says, while 2 of the major card networks are less common outside of the U.S., Visa and Mastercard are more popular overseas. Any rewards? Because there is such a wide range of cards offering no foreign transaction fee, you'll want to look at rewards that are offered. However, “Prior to applying for any card, check the terms and conditions to make sure the card allows you to receive rewards on international purchases,” says Smith. What other features are there? Krista Canfield McNish, of travel website and blog FoodWaterShoes.com, has a card that covers up to $1,500 in trip cancellation/trip interruption insurance per trip for nonrefundable expenses due to personal or family injury, illness, or death if you booked your trip with your card, which she says is a handy bonus. “I also love that the card doesn't require me to call [the issuer] or to log in online to notify them of upcoming travel before I take off,” McNish says. Have you done your research? “Keep in mind that not every country is U.S. credit card-friendly (for example, European cards are more likely to work in countries like Cuba than U.S. credit cards), so it's a good idea to do your homework before you take off,” says McNish. Once you narrow your choice down to a few products, you can find product-specific reviews for travel cards, hotel cards and airline cards. Use these reviews to help make your final application decisions!